Our professional passport studios are particularly well equipped to produce quality US passport photos. We have professional lighting, professional cameras and printers and professional helpful photographers. Just drop into our studios, no appointment is needed and we can usually print out your US passport photos within 10 minutes. We are based in Camden, London. 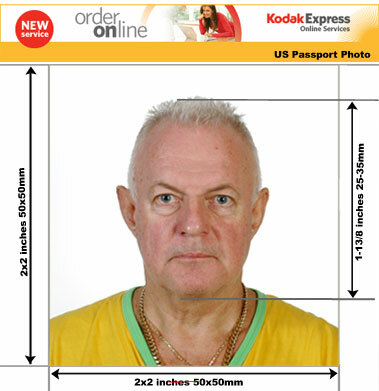 Below is an outline of US Passport Photo Requirements. Eye level between (28 mm and 35 mm from the bottom of the photo. Your face should cover about 50 percent of the photo area. Photos for japanese business and tourist visas and passport photos.